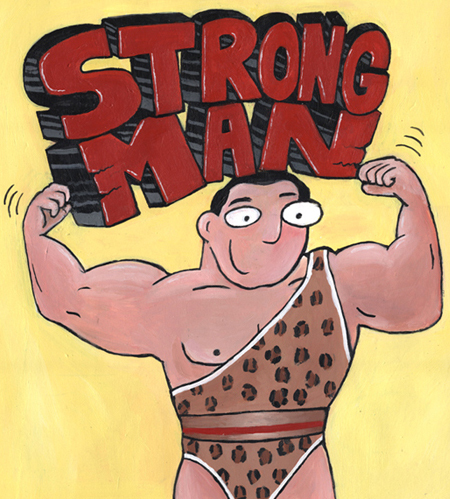 A Muddled Mother: How to be Hercules! When we were teens, he was wise beyond his years, hilarious in a Robin Williams-esque manner, and I was totally crushin' on his cosmic intelligence. Back then it was apparent, even to my shallow teenage mind, that he was a "girl's" guy. One who GOT our gender and appreciated what made us--well--us. Last year, through the magic of Facebook, we reconnected and he didn't disappoint. Now, an assistant professor of cognitive science at Carleton University and the director of the Science of Imagination Laboratory, he was one of the first to encourage me to keep at my fledgling blog. Through our limited conversations, his various status updates that gushed about his equally talented wife, and comments on my blog, it was infinitely clear that he still is THAT guy who is a lover of women, especially when one day after he read my A Reminder To Move post, he left this comment: "When I have children, I want my wife to be fulfilled. How much can a husband do to facilitate this? If a husband gives his wife a whole day, or a weekend, or one night a week off, will she take it? If she does, can she leave mothering at home and, say, learn to cook Thai food?" I have mulled over this question for months. Sometimes the cynic in me laughed at the mere thought that a MAN could do ANYTHING to encourage his wife to follow her dreams. It certainly would be a herculean task. One that would require muscles of the mind. That cynical voice mocked, "Yeah, how about starting with putting the toilet seat down bub?" But then again, another voice nagged me for weeks on end. It whispered crazy things like, "What if?" and "Who knows?" and even crazier words like, "If your husband could do anything to encourage you to have a life outside of the family, what would it be?" Now I am NOT saying that we must look outside ourselves to others to find our happiness. Nope. I still contend that if YOU want it YOU must go and get it, mother or not. However, I am convinced that a supportive spouse or significant other is essential to a mother's independence and growth as a human being. And so, for you my intuitive friend, Jim, and for men all over the world I have compiled a list of suggestions that you can do, be and say to help the women in your lives be so much more than just the mothers of your children. 1. First of all--perhaps most importantly--ask about our dreams. Ask about who we'd be if we could do anything. Ask where we'd go if we could go anywhere. Ask what we'd do if we could do anything. And then...and then... LISTEN--really listen to the answer. 2. Once you've heard the answers, help us devise ways of reaching our goals. Look up classes. Help us design ultimate travel itineraries. Join us in finding the best path to get where we're going. 3. Whether it is one hour, one day or one week, the time away from our children is the heaviest weight mothers can carry. It will sabotage even the most well planned plan. Mom guilt is tough, but it just might ease a little if you assure us that our children will be taken care. No no...not just assure us that they will be taken care of, but that they will be taken care of in the same manner that we'd care for them. I'll let you in on a little secret men-of-the-world, we mothers can be quite egocentric you know. It is a wonder that the world spins without our okay. Now, I don't make that admission lightly, but I make it so that you can put it to use. In order to rid ourselves of "mom guilt" it is essential that we think that our children won't suffer one iota from our absence. So watch what we do, how we love, scold, support and understand our children, and then use that knowledge to to reassure us that our babies, our toddlers, our preschoolers, our tweens and teens will be just fine without their moms for a little while. The world still spins while we sleep. 4. When we return from our night class, our trip away, our girls' dinner, from whatever it is that we have professed as our dreams, our needs, our hopes and goals, don't let us regret it. Remember that little secret I just let you in on? All it would take is coming home to a house full of dishes, or a screaming child, or a broken and flooding toilet to send us reeling and saying out loud "See this is why I can't ever leave the house!" Yeah okay. We mudders can be martyrs. Honestly though, what are we supposed to think when things fall apart in our absence? How about this, if they DO fall apart, just handle it. 5. Marriage is a partnership. Okay stop rolling your eyes. Such a cliche I know. Blah blah blah...kum bay ya and all that other stuff. But seriously...make sure you aren't just blowing hot air when you say that well-worn phrase. A partnership means that both parties are aware of the work involved in raising their families and the responsibilities are equally divided. If a chores list that splits it down the middle gives you the willies then at least check in with your partner on a weekly basis and be sure that she feels like the load she is bearing is equal and appropriate, and most importantly doable. Knowing that the "other stuff" will get done, heck, just acknowledging to us that you know there is "other stuff" will be a huge burden lifted. One of my favorite authors, Simone de Beauvoir once said, "The torment that so many women know, bound hand and foot by love and motherhood, without having forgotten their former dreams." How tragic that for so many mothers these words ring true. I used to think that it was just a hardship that mothers had to bear, a righteous sacrifice for the children we love. But thanks to a question asked by a truly evolved man I am rethinking, reassessing the role of mother. Perhaps besides being there, it is just as important for us to show our children that in order to be healthy and whole humans we must constantly work toward and never forget our dreams. And with a husband or significant other who champions us, how could we go wrong? I love this post! I totally agree with 3 - 5. Well all of it but those stood out to me. I have the mommy guilt. I cannot leave my child with anyone; even the hubby! I take care of him so much I feel like I take care of them both for them to be able to take care of themselves. Need a break, definitely. Great post - very thoughtful. Love de Beauvoir quote! 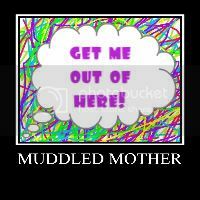 I just saw where you had commented to me on Bloggy Moms way back in February. Sorry it took me so long! I'm now following you! Great post!! I think bang on too!